The 2018 Waterside Half Marathon is set to be the biggest and most prestigious in its 37 year history when up to 2,500 runners descend on Ebrington Square for race start on Sunday September 2nd. Event organisers Derry City and Strabane District Council and City of Derry Spartans have announced this week that the race will act as a qualifier for the NI squad for the inaugural Commonwealth Half Marathon Championships on Sunday October 7th in Cardiff. “We have received over 1300 individual entries to date as well as 40 plus relay teams of three which is a big increase on last year and indicates that the individual limit will be reached soon,” he revealed. 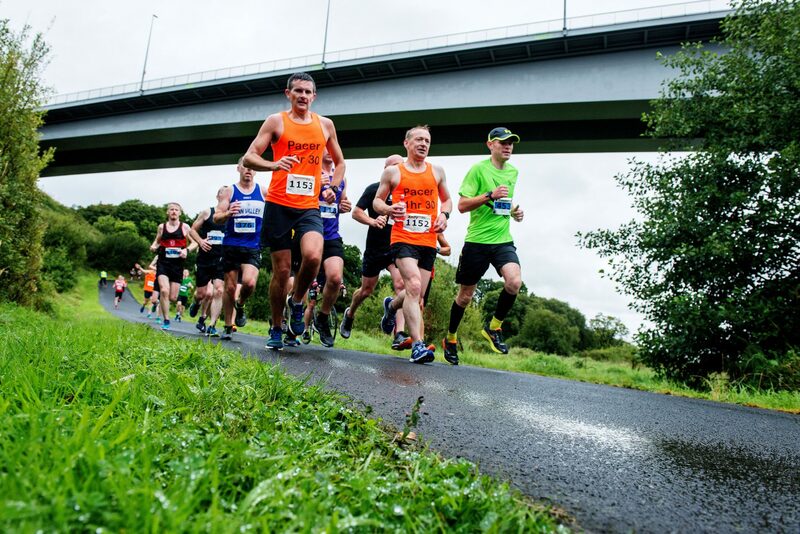 “The NI and Ulster Half Marathon Championships and qualification for the Commonwealth Championships is a big carrot for the top male and female entrants to aim for and this should add to the quality of the field and the up front competition on the day. Some of the two thousand runners who took part in the 2017 Waterside Haf Marathon, leave Ebrington Square on Sunday morning. Credit: Martin McKeown / Inpresspics.com. The 13.1 mile course has runner, wheelchair and three person relay categories, the event is open to athletes of all levels and abilities and all entrants to the main race must be aged 17 or over on race day. 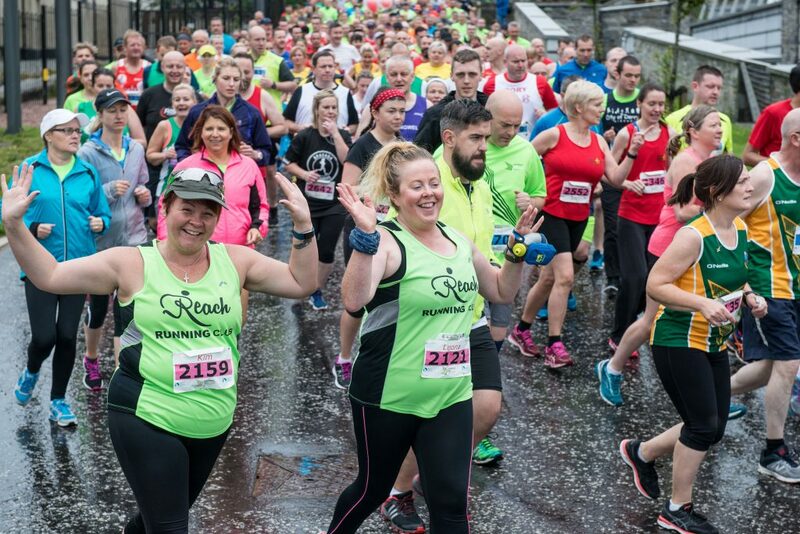 A number of groups have already registered for the event to raise funds for their chosen charities including a group of over 20 runners from Firstsource Solutions in Derry who are taking part in aid of Foyle Search and Rescue. The event includes a team of 12 pacers who will be identifiable at the race start by helium balloons displaying their times. Pacer times start at 1 hour and 30 minutes and rise in increments of 15 minutes up to 2 hours and 30 minutes. “The pacers are all experienced runners who have studied the terrain of the course beforehand and they have always been spot on with their timings,” Gerry explained. All participants will receive a specially commissioned Waterside Half Marathon medal and race t shirt. Entries to the race close at midnight on Monday 13th August 2018 and you can register online now.